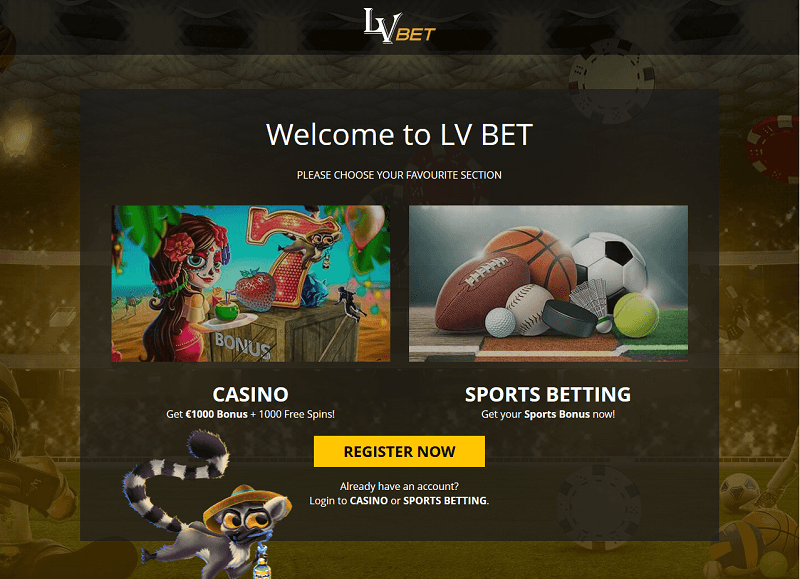 LV BET online casino opened its doors to the public in 2015. And despite its young tenure, it is ready to compete against the giants because it is backed up by several big gaming software companies. The casino is based in Malta. It is regulated by the gambling laws of the European Union and got its licence from the Malta Gaming Authority in the same year it opened. LV BET is operated by Fairload Ltd, a company that is licenced and based in Malta, too. Currently, Fairload Ltd. does not manage any other casinos but LV BET. 25% Reload Bonus – This applies to the game of the week and represents a matching offer. The featured game changes every week. To make it work, you must deposit money specific to this promotion. Upon deposit, you must select the 25% RELOAD from the dropdowns of promotions. Load the current game of the week and play. Number Zero My Hero – This applies to roulette. The promotion is only available on Tuesdays. To participate, you must bet a minimum of €5. You win if the ball lands on 0. If it happens three consecutive times, you may win up to €500. What’s unclear in the promotion is whether you have to bet on 0 or not. Royal Blackjack – If you play blackjack on a Thursday, you have a chance to win up to €5. To join, you must play any blackjack table in the Live Casino area only. You must wager €10 in a single bet. If you get dealt with a Royal Blackjack (Ace of Spades and King of Spades), you will win bonus cash on top of the normal wager. Bonus Fever – This promotion is only available every Wednesday from 4 PM to 6 PM. The promotion offers unlimited 50% reload bonus on slots with a maximum value of €300. Every time you deposit, you get a 50% match-up. Live Casino Welcome Offer – This offer only applies to new players and only on the first bet. The offer is for the player to get a maximum of €20 cash back if he/she loses on his/her first bet. The player can avail this from roulette, blackjack, baccarat, and poker. Tied Blackjack – In this promotion, the player gets paid a 3:2 ratio if he has a blackjack, even if the dealer has the same. In essence, the push is not declared. Blackjack Suited – This is only available on Mondays. Players can win an extra €50 if the first card they draw is suited with a sum of 11. LV Points – You get LV points when you play on slots. The points are cash-redeemable. Every 100 LV points may be exchanged to Euros. The minimum number of LV points that you can redeem is 200. There is no explicit mechanics on how you can win LV points. It is randomly awarded to players on every spin. For new players, they can claim the LV BET bonus of €1,000 and 1,000 free spins. You must deposit four times to get the full €1,000. Note, however, that the matchup percentages of your deposits vary. Below is a table to show how it works. As you can see, there is a maximum matchup bonus that each player can get for every deposit. The percentages also vary on the frequency of the deposit. If you want to avail of the full benefit, you must control the amount of deposit you make. Putting in €1,000 on your first deposit does not entitle you to the €1,000 matchup bonus. This only gives you €200 extra. So in essence, you must comply with the four deposit requirement. Another important detail here is that all casino bonuses have a wagering requirement of 35X. And they must be used within 15 days from the date that the bonus was credited to the player’s account. Players cannot withdraw their deposits and bonuses unless they meet the wagering requirement. What’s good about LV BET is that a player can cancel a bonus at any given time. But the player must know that all winnings will be voided if he/she cancels a bonus. This comes as a handy option if a player wants to withdraw his/her funds (from his/her own deposit) prior to completing the 35X wagering requirement. The casino hosts hundreds of games. Apart from the common games, players can participate in tournaments that the casino hosts regularly. Let us review the different games that clients can enjoy. Sports Betting – The current promotion for sports betting is a 100% matchup with a maximum of €50. This only applies if you use 100% of your first deposit on a sports bet. If you deposit €50, you get another €50 so you can bet a total of €100. The sports betting area allows players to bet on MLB, International World Soccer Cup, LIGA MX FEMENIL, Football, and other games. Casino Games – This lobby is subdivided into several sections: New Games, All Games, LV Loves, Slots, Table Games, and Jackpots. Players can also filter games based on the developer. There are thousands of games to choose from. The slot section alone houses more than 400 popular games. There are 36 table games that include poker, baccarat, roulette, bingo, and blackjack. The jackpot area has 12 games to offer. A player can win as much as €12,000,000 in Mega Moolah. Live Casino – In this area, you will find dozens of live games. A total of 63 live games are on offer. Players can choose from a wide selection of baccarat, roulette, blackjack, and poker. 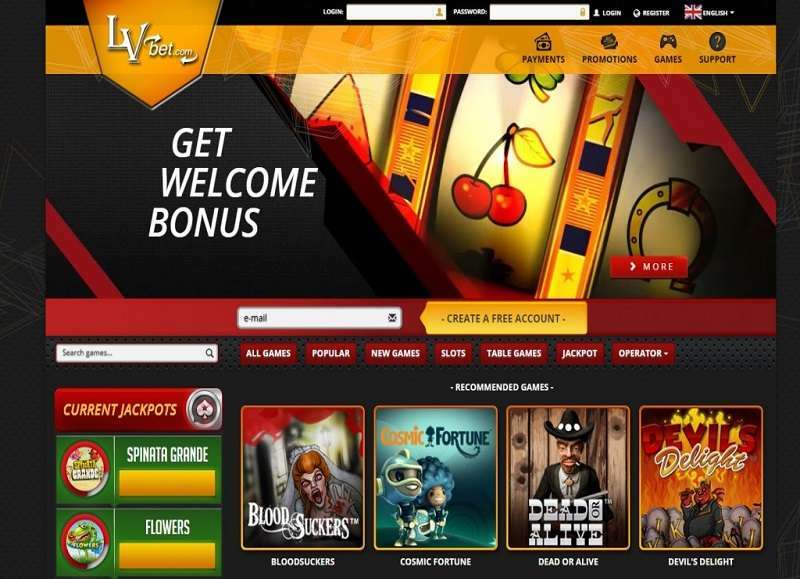 In this LV BET review, we wanted to find out if the games are available on different platforms. We found out that the casino uses an instant play gaming technology. This means that all the games require no download and are accessible via mobile. Credit card deposits are credited real time. Other methods may have delays. The delay may take between a few hours or up to five days. The casino may ask for proof of identification before completing the deposit. A scanned copy of the front and back of the credit card may be required. The minimum deposit amount is €10 or its equivalent in other currencies. Below are some rules to remember about withdrawals. You cannot request for a withdrawal while a game is in progress. The casino may ask for documents to verify your identity before processing the withdrawal. Only one withdrawal per week is free of charge. Any subsequent withdrawal per week has a fixed fee of €. The maximum amount that you can withdraw per day is €5,000. The name of the person registered to the casino account must match the name found in the receiving financial institution’s account. The funds you withdraw must have been used to wager at least once. Otherwise, it will be subjected to a 5% administrative charge or a minimum of €10. E-wallet – Can take anywhere between 1 to 12 hours to reflect on your account. Credit and Debit Cards – The processing time can take between 24 to 72 hours. However, the actual transit between the casino’s financial institutions to yours can take up to 30 days. Bank Transfers – This can take between three to five days. The countdown will only start after you have received a confirmation from the casino that the funds withdrawn are approved. This may take longer if documents were asked of you. Checks – Will also be processed within 24 to 72 hours. The minimum processing time of withdrawals is 24 hours. The processing time refers to the casino’s back-end work where a machine or a person determines whether your request for withdrawal is approved or not. Apart from a detailed FAQ section, the casino offers live chat and phone support. However, the customer support team is not available 24/7. Here are some things to remember. Chat and Email – Supports English and German. Support time is only available from 8 AM to 11 PM You may only send an email through the casino’s contact form. Voice Support – You may call the casino at +356 27 780 032. You may call daily from 10 AM to 8 PM This support is only available in English. Green Tube – The company is not new in the gaming world. It has been in operations since 1998 and entered the gaming sector with 3D sports games. Today, it is a subsidiary of Novomatic Interactive. It hosts games in different areas like poker, bingo, slots, and table games. NetEnt – One of the old-timers in gaming, NetEnt has been around for the past 20 years. It is a leading provider of digital entertainment, servicing more than 200 online casinos around the world. Thunderkick – It is licenced by the UK Gambling Commission and the Malta Gaming authority. The company has only been in operations for less than a decade but it already services more than 100 online casinos. 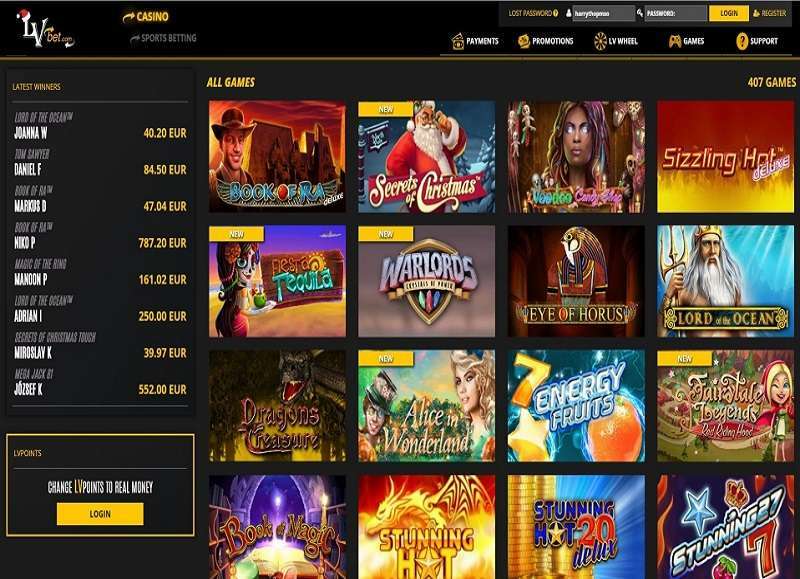 It is an independent game supplier that focuses on slots. They also offer Remote Gaming Servers or RGS. Microgaming – One of the biggest and best names in the casino word, this company holds several records for the largest payouts ever made to online casino games. LV BET has done a good job in making its casino a highly competitive one. Although it works with only a few developers, it surely maximised what these software companies can offer. The website design is cool to the eye, with a layout that is easy to navigate. The casino also ensured that players have full visibility on its rules, promotions, and policies. In addition, it supports responsible gaming by allowing players to set limits on their accounts per day. One of the things that set it apart is the number of promotions it offers at any given time. And apparently, the casino has prepared numerous offers for launch once the current promotions are over. One catch that a player must know is that several of these promotions apply to the first deposit only. This means that you must choose carefully how you want to maximise your winning or bonus potential on your first deposit. A thing that can be improved is its customer support. Today, most casinos offer 24/7 customer service. If LV BET truly wants to operate globally, it must be ready to answer inquiries from customers all over the world.